Sarawak – also known as the Kingdom of the White Rajah or Land of the Headhunters – is a melting pot of cultures made up of the Iban, Chinese, Malay, Indian and other indigenous tribes such as Bidayuh and Melanau, who still maintain much of their traditional heritage and customs. The plentiful national parks showcase Nature’s creations at its best, ranging from tropical forests, coastal mangroves, complex caves to magnificent waterfalls. This area is also home to a number of exotic and rare flora, fauna and creatures, such as the Rafflesia, Orangutan, Proboscis monkey, Irrawaddy dolphins, to name a few. 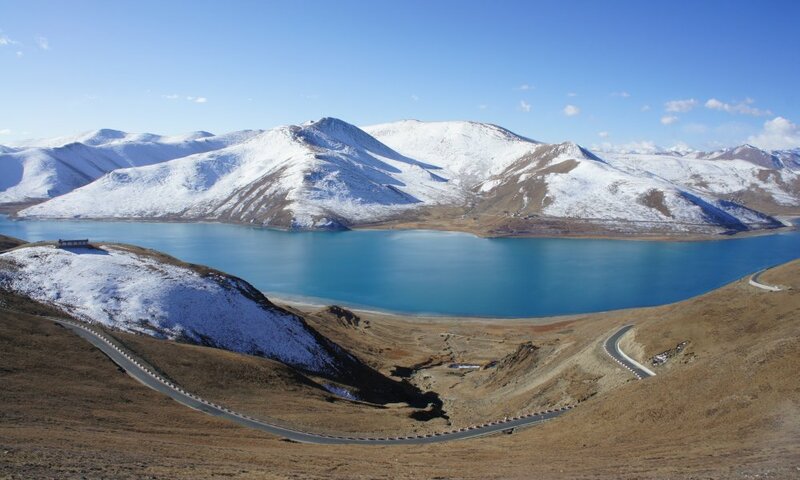 For the outdoor enthusiast, the land also offers a myriad of adventure activities ranging from mountain climbing, trekking, cycling, spelunking and river rafting. To experience a taste of what this amazing place has to offer, start off by visiting the understated capital of Kuching and its surroundings. In this 4D3N Kuching escapade, you will be charmed by the natural and cultural highlights of Sarawak which will leave you wanting to explore the inner regions of the land further. Upon arrival at Kuching International Airport, you will be greeted by our friendly local guide who will bring you to your hotel. Visit the Semenggoh wildlife Center where injured and orphaned orangutans are rehabilitated before they are released back to the wild. 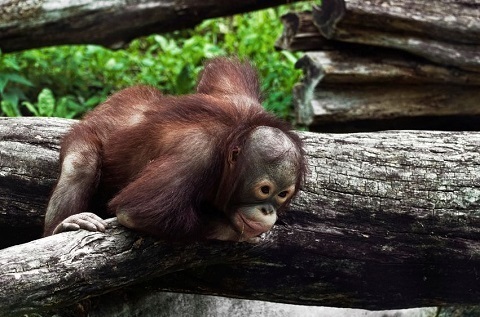 In this sanctuary, the orangutans are semi-wild and free to roam around the thick forest canopy. The afternoon feeding session provides a unique opportunity for you to view the orangutans at close range. The center also houses other wildlife such as rescued gibbons, porcupines, crocodiles, etc. There are also several nice nature trails that will bring you around the various gardens in the park. You will then travel along a scenic road passing through the landscape of limestone formation, the countryside and plantations to reach Annah Rais Longhouse – one of the oldest longhouse in Borneo. If time permits, you can also visit the hot springs and waterfall that are nearby before returning back to Kuching city. In the early morning, you will be picked up from your hotel to Bako Market (approx. 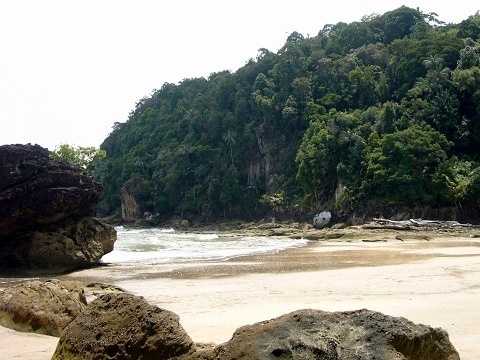 1 hr drive) where you will be transferred by boat to Bako National Park (approx. 45 min ride). Highlights of the park include the rare, pendulous-nosed and pot bellied proboscis monkeys found only in Borneo, bearded pigs, mouse deer, otters and flying lizards. There are extensive trails within the parks for you to explore, which will lead you to mangrove forests, streams, waterfalls, pristine beaches, clear lagoons and various look-out points. Day- trippers can opt for the one and a half hour trek to Telok Pandan Kecil which leads you through a path lined with carnivorous pitcher plants and ends at a cliff top with stunning views of the secluded bay below and the famous sea stack off its shore. The coastal plain has a very low gradient, therefore at low tide, the water edge is very far away from the shore. Coincide your visit with an extreme low tide and experience wading through a short stretch of ankle- deep waters. You can choose to either stay overnight in the national park (subjected to accommodation availability) or return back to Kuching city. After breakfast, we will visit both Wind Cave and Fairy Caves where you will enter the subterranean universe of maze- like passages, vast chambers, deep crevices and creepy creatures. Wind Cave is famous for its network of underground streams which flow out of the cave and join the Sungai Sarawak Kanan at the northern end. A 1km boardwalk runs throughout the length of the cave, leading visitors to beautiful chambers with interesting geographic formations like stalactites, stalagmites and limestone pinnacles. 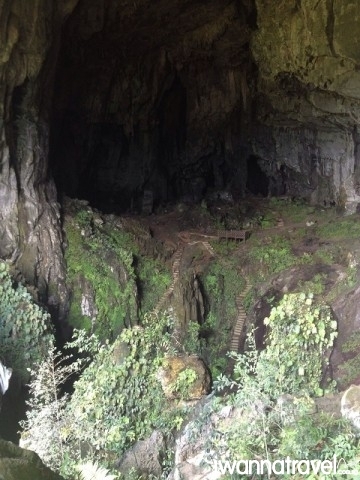 The cave is inhabited by thousands of bats whose high-pitched squeaking can be heard throughout the cave. Look out for the swiftlets and their saliva-made nests adhering to the nooks and crannies of the upper cave walls. End your visit to the Wind cave with a refreshing swim in the waters of Sungai Sarawak Kanan. After lunch, we will proceed to the Fairy Cave which is located a few minutes drive away from the Wind Cave. 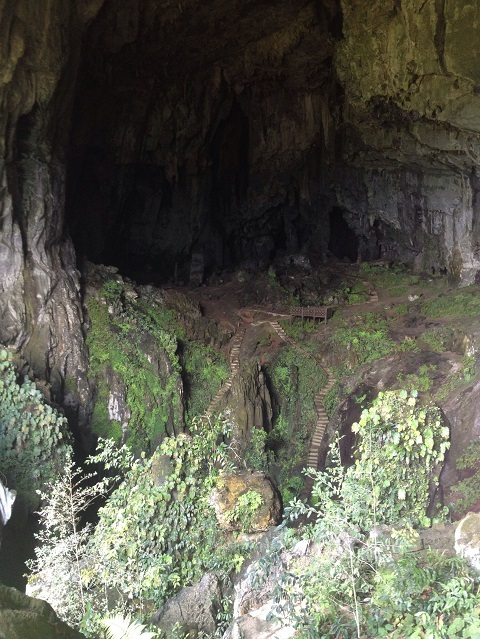 The cave entrance is 30m above ground at the side of a limestone cliff, and is accessed via a 5 storey high tower with a tower staircase. The attractions of the cave lie in its enormity that is almost the size of a football field, and its subtle beauty – created by the beautiful contrasts between light entering the caves, its shadowy darkness, the various hues and shades of the rock surface and the rich greenery of the surrounding ferns and mosses. After the caves exploration, you will then be transferred back to Kuching city. After enjoying your breakfast in the hotel, you will be transferred to Kuching International Airport for your flight back to Singapore. 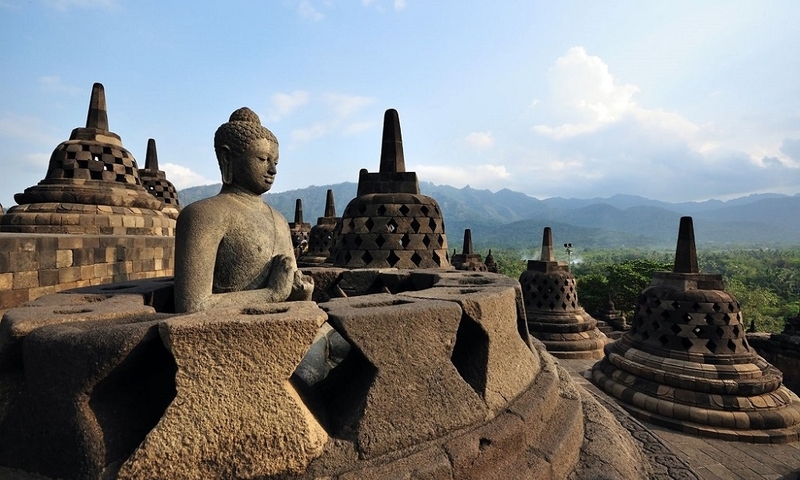 If time permits, you can go for some sightseeing, shopping or massage within the city. Sarawak’s rich diversity in natural landscapes, its wide variety of flora, fauna and its unique selection of animal species means that it has much more to offer, and these are a couple of recommendations that we would propose if you would like to spend a longer time there. Gunung Gading National Park – one of the best places in Asia to view the world’s largest flower – the elusive Rafflesia – in bloom. 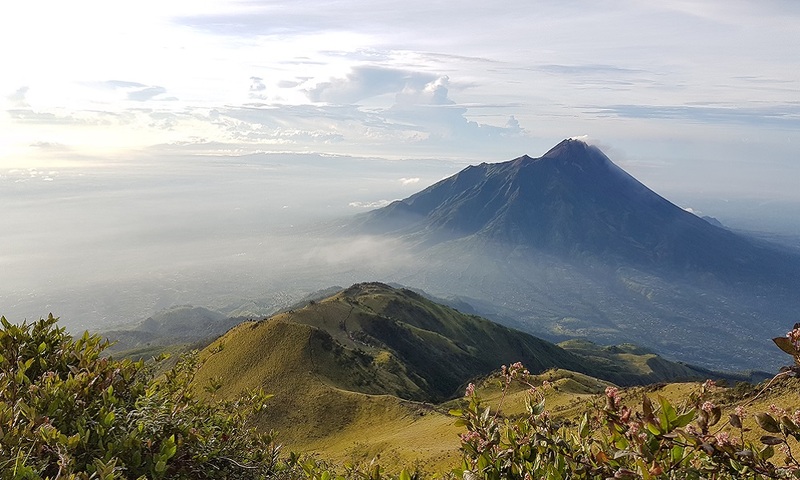 There are two major trails; the Waterfall Trail – a relatively easy (2 hour return) scenic trail which passes through a number of waterfalls and a dip pool, the Gunung Gading Summit Trail – a strenuous 3 ½ hrs hike to the summit of Gunung Gading (806m). Kudah National Park – dominated by a sandstone ridge with three mountain peaks (Mount Serapi, Mount Selang and Mount Sendok), and is famous for its palms and waterfalls. Almost a hundred different palm species and dozen waterfalls can be found within the national park. Kubah also offers an interesting range of treks ranging from gentle forest walks to arduous hill climb. Santubong Peninsula – dominated by the spectacular Mount Santubong (810m) and cut off from Kuching by the Santubong River in the south, the peninsular is a rural outback at the doorstep of Kuching. 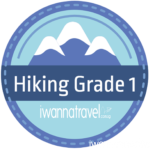 Attempt a day climb (6-8 hrs) to the Mount Santubong summit and be rewarded with sweeping views of the Santubong river and the South China Sea. After the climb, you can relax your aching muscles and enjoy the sunset by the resorts at the Damai Beach. Sarawak Cultural Village – a living museum showcasing the culture and customs of the various indigenous tribes of Sarawak. There are replica houses of the Bidayuh, Iban, Penan, Orang Ulu and Melanau tribes built according to their actual sizes and designs. Time your visit with the annual Rainforest World Music Festival – a 3 days music festival featuring a wide range of performances from traditional to fusion and contemporary music.